The Finger Lakes were made for bicycles! This spring when I found out I would be working for Finger Lakes Visitors Connection, the official tourism promotion agency for Ontario County, I wanted to be able to see my county in a new way, a way that visitors see it, with fresh eyes, curiosity, and admiration. So I created a challenge for myself. 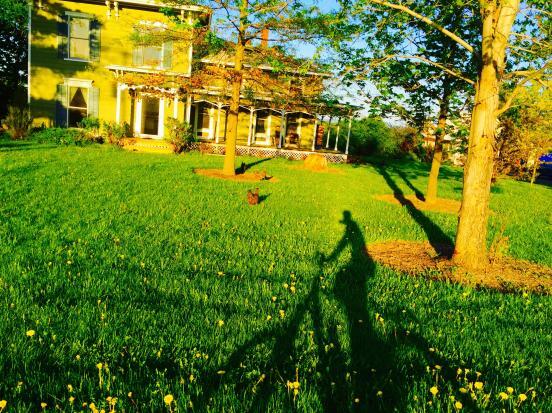 To explore all of Ontario County by bicycle. And by that, I mean riding every single street, alley, road and avenue on my bike. I started the project in late April and will probably take two or three years to complete. Here I am on one of my first rides of the year. If you look at the map below, you can see how much I’ve done so far. Ontario County is in white. 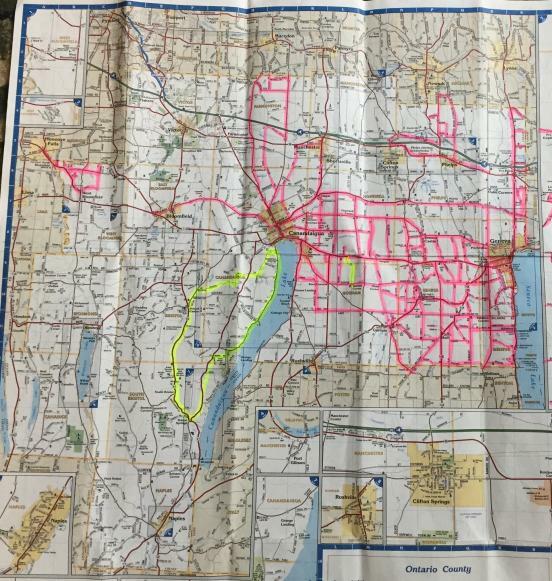 The roads I’ve ridden have been highlighted in pink and yellow. I still have a long way to go! Ontario County is roughly 644 square miles, but the topography varies greatly. Friday, on my two-wheeled commute to work, I rode by farm after farm. The terrain between Geneva and Canandaigua is largely flat, with fields of corn, cabbage, hay, vegetables, and cows making me appreciate the bounty of our agricultural backbone. 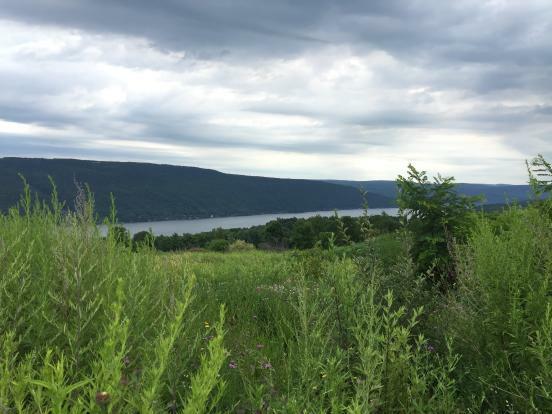 Saturday morning, I took a much more challenging ride, huffing up and zipping down steep hills along the west side of Canandaigua Lake, sneaking up now and again to see the water, sometimes hidden by evergreens or hills or old barns. I stopped for a quick moment of rest and appreciation of this breathtaking view of Canandaigua Lake. Want to explore our area with your bicycle? We have some great biking (and hiking) maps with cue sheets for rides that are easy to challenging.